Through the generosity of the Friends of the Guilford Free Library, our patrons now have access to the online film streaming service, Kanopy! With the motto of “thoughtful entertainment,” Kanopy provides access to films of unique social and cultural value; films that are often difficult or impossible to access elsewhere, and programming that features diversity. Click ‘Signup’. 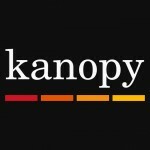 Kanopy will send you a verification e-mail to the e-mail address you provided. Check your e-mail and click the ‘Verify my Email’ button to verify your address. A new window will open and bring you back to Kanopy.